Ho ho ho—it’s the final New Comic Book Day before Santa’s arrival (or just the second-to-last of Wednesday of 2017, depending on your personal celebrations). 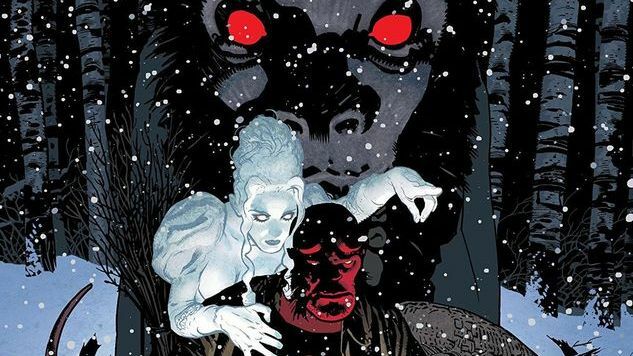 This hellish grab-bag of a year sees itself out with a bevy of new launches: Tini Howard and Gilbert Hernandez expand the Black Crown umbrella, Ed Piskor gives the X-Men the Ken Burns treatment, Valiant’s resident cape comedians return in a new Quantum & Woody title, Steve Niles resurrects 30 Days of Night with Piotr Kowalski, and Marvel debuts two new retro-titled series. We’ve also got the second volume of one of our favorite titles of the year, just in time for holiday gift-giving, as well as a grindhouse collection you should only give to someone with a high tolerance for the lo-brow. All of this and more (Krampus!!) comprise your Required Reading for December 20th, 2017.